This is one of the most fun times I am spending. 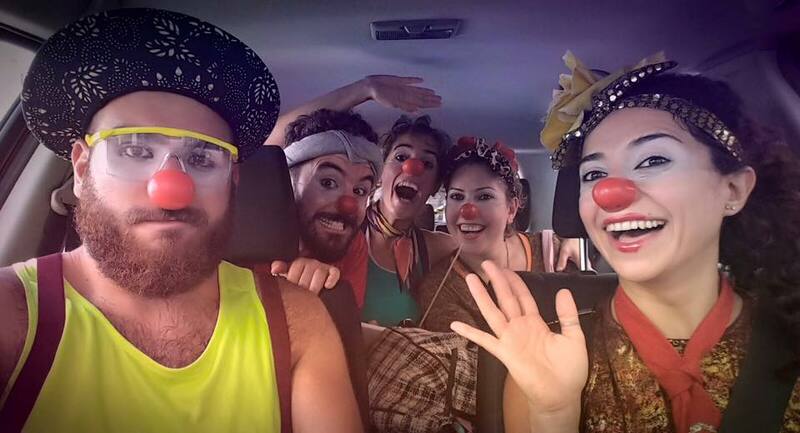 Our clowns are us. They came from within, and not just a costume we put on for the show. 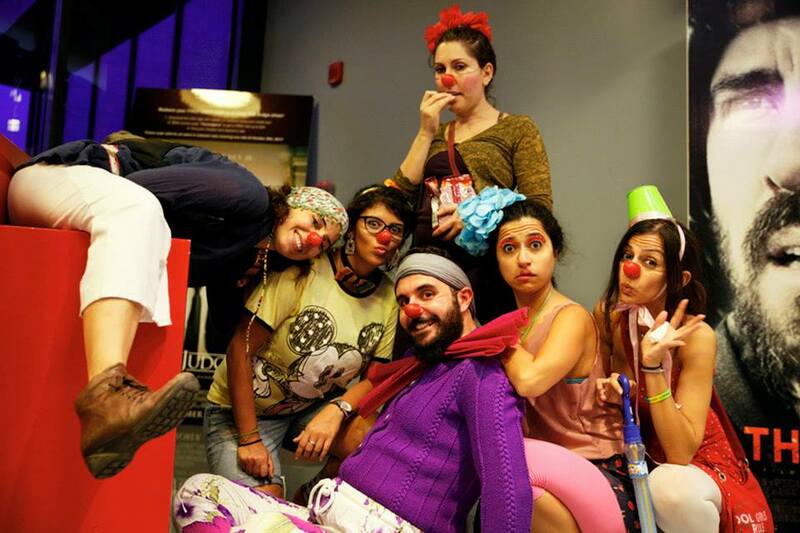 We discovered our clowns through a clown therapy workshop led by Sabine Choukair. 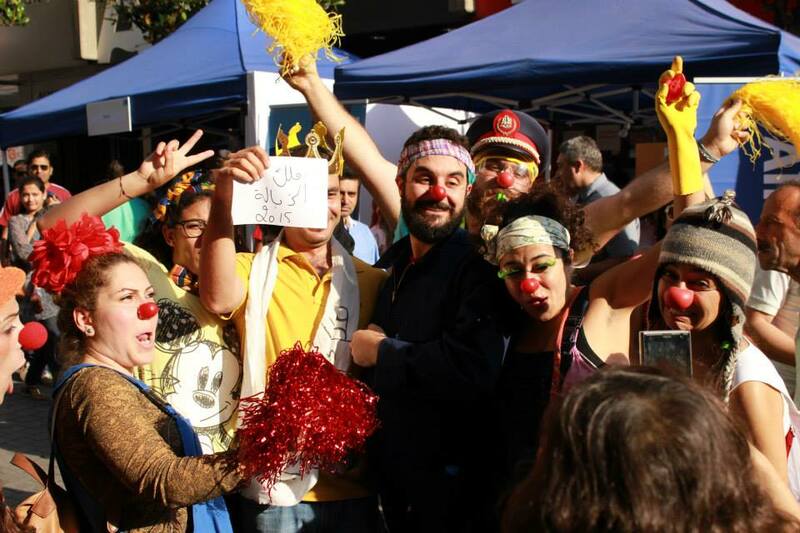 We decided to take our clowns outside the walls of the workshop into the streets of Beirut with street interventions on social topics that irritate us. 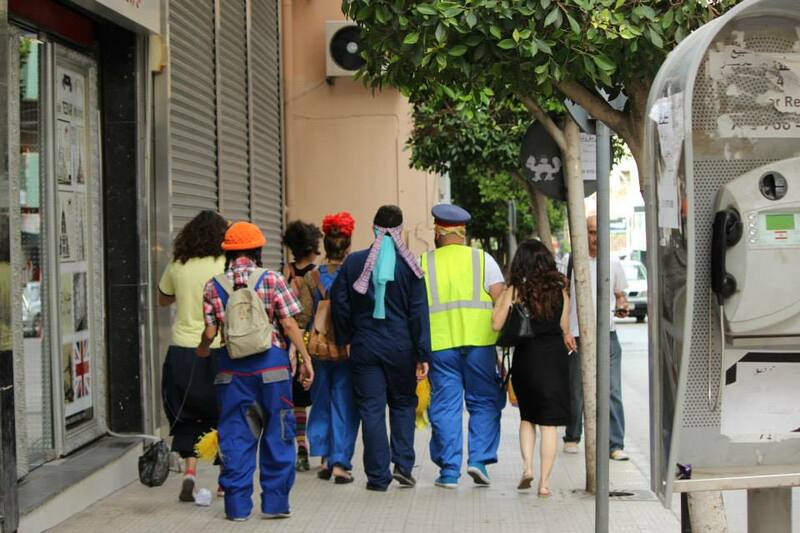 Our first was on February 2014 at a crossroad, teaching drivers how to behave to the street light, and pedestrians to cross on the striped lines at the right time. 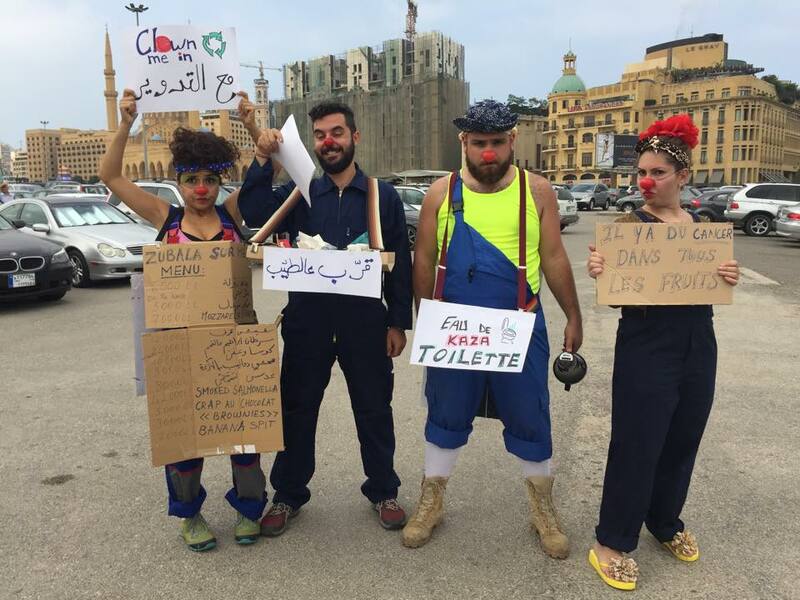 Feeling socially responsible, as individuals and as clowns, we participated in the second or third protest called for by #YouStink movement and we took the covers of the Lebanese media. 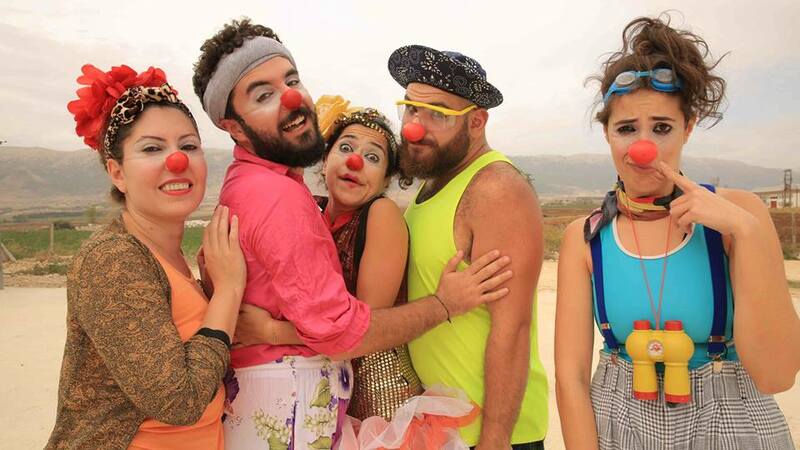 Annahar newspaper used our photo so many times, for unrelated reasons, the red nose could replace their logo and the photo could be the official poster on the building instead that of Gebran Tueni. Another road of protesting we decided to take, was videos that criticize the situation in Lebanon, but with the clowns logic; a pretty twisted logic. 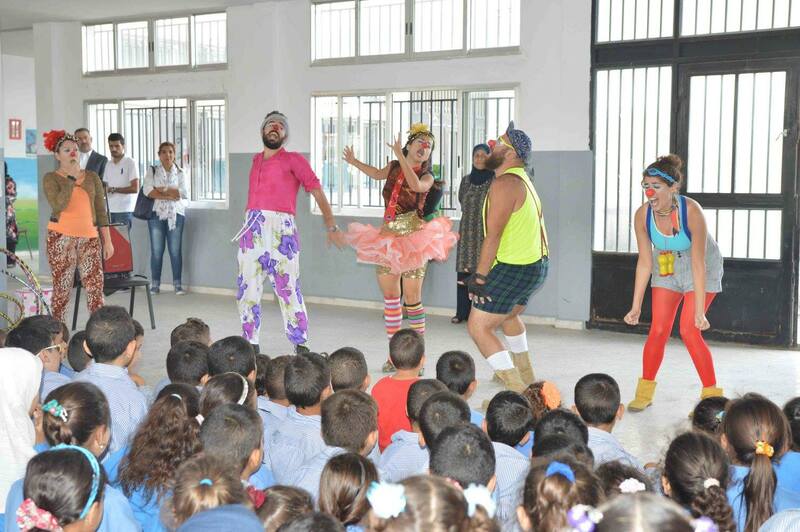 The videos gathered more than 100,000 views, with 40,000 on one video in a few hours only. On that note, another satisfying reaction is people you’re serving food to. 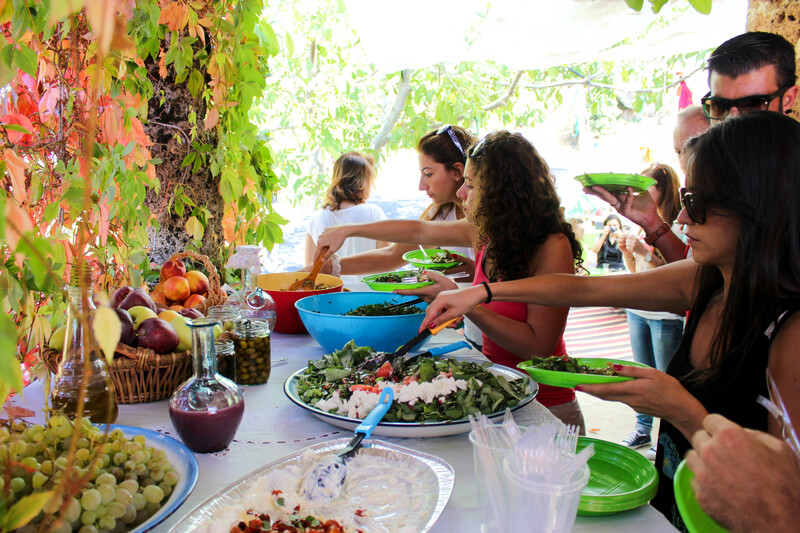 It was a delight, in addition to organizing the event, cooking for so many people, with little resources and tools around, and getting positive feedback. It was not rocket science, but simple rural recipes, with a slight twist. A simple salad was wiped out every time, no matter how big the quantity was. It is also the weather, as we say in Arabic, the weather makes you eat. I spend the whole day eating. My friends can attest to that. 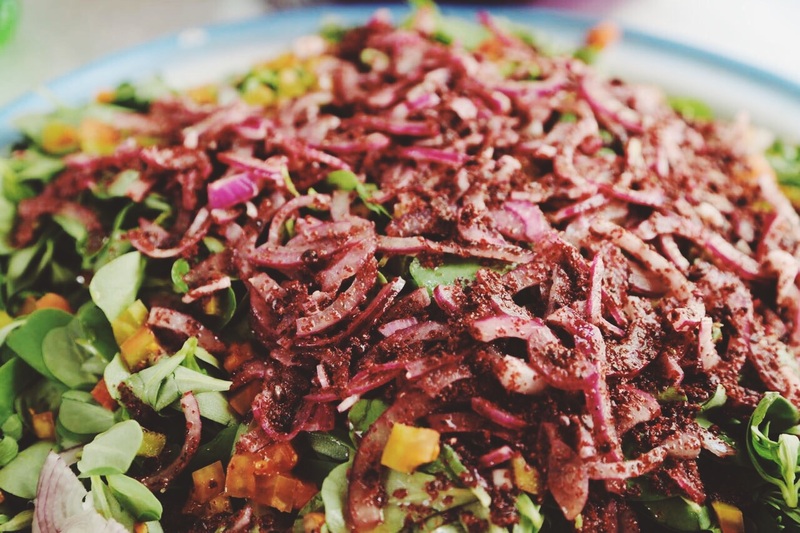 I will share the recipe for one of the salads we served at the first and second installation of Autumn Secret. It could serve well in gatherings, parties, or even an individual dish. 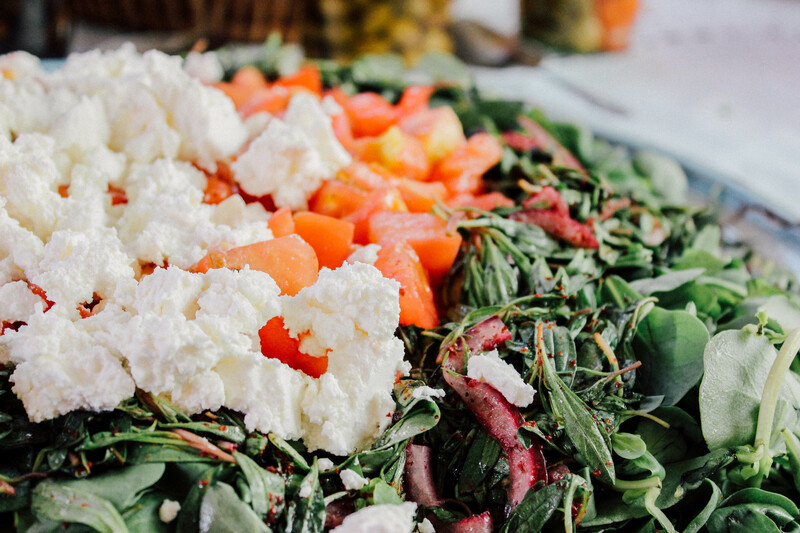 This entry was posted in Light Section, Recipe, Salad and tagged autumn secret, Beirut, cheese, clown, clown me in, easy salad, feta, lebanon, light, purslane, Salad, salads, sumac, sumak, tannourine, thyme, zaatar. Bookmark the permalink.